Leaders of Birmingham City Council will be under the spotlight again next week when they face a public grilling from a government-appointed watchdog panel. 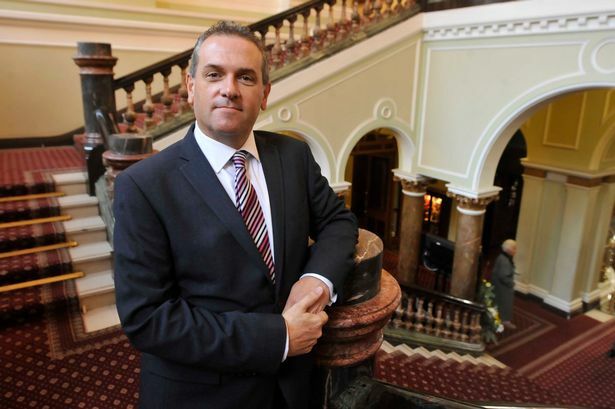 Labour council leader John Clancy, his deputy Ian Ward and opposition leaders Robert Alden and Jon Hunt will be quizzed by the Birmingham Independent Improvement Panel in what may be the panel&apos;s final public meeting on Thursday. The panel has been overseeing the council&apos;s efforts to overcome deep-seated problems since January last year and will produce a final report for the Local Government Secretary Greg Clark later this month. It was set up in the light of the damning Kerslake report in 2014 which found the authority to be dysfunctional with significant weaknesses in leadership, long-term planning and partnership working and in need of a major overhaul. There is optimism among senior council figures they have made significant progress, particularly in a change of approach under new leader John Clancy since he took over in December. They are also hopeful the panel will be wound up and the threat of a direct government take over lifted by the end of the month. During his budget speech, Coun Clancy said: "Hopefully, we will wish a fond farewell to the Independent Improvement Panel. We are grateful for their work and commitment to the city. "But we are now ready to take our plans forward with our partners and the people of Birmingham." The public meeting is at midday on March 10 in the Council Chamber, Council House, in Victoria Square. Birmingham businessman and panel chairman John Crabtree said: "After 15 months, residents, businesses and partner organisations in the city will expect to hear that significant progress has been made by the council. "This meeting provides an opportunity to both hear from and question the council&apos;s leaders and I hope many people will want to take part." For those who cannot attend on the day, the meeting will be screened via a webcast on the city council&apos;s website, either live or later on.